There are over 600 enzymes that need vitamins or minerals to work properly, and researchers at the University of California Berkeley tested one of them. Using the MTHFR enzyme, which requires the B vitamin folate to do its part in building DNA molecules, they found 14 variants of the enzyme based on the genomes of over 500 people. When the mutated enzymes were expressed in yeast cells, which imitate the human metabolism, they found that four of the variants affected the way the enzyme functioned in the cell. But by adding folate to the yeast cell’s diet, four of the five mutated enzymes became fully functional again. Extrapolating to 30,000 proteins in the proteome, every individual would harbor 250 deleterious substitutions considering only the low-frequency variants. Our studies have convinced us that there is a lot of variation in the population in these enzymes, and a lot of it affects function, and a lot of it is responsive to vitamins. I wouldn’t be surprised if everybody is going to require a different optimal dose of vitamins based on their genetic makeup, based upon the kind of variance they are harboring in vitamin-dependent enzymes. For more information on using vitamins to promote general wellness and avoid deficiency diseases, visit MyPyramidTracker.gov. The website allows you to track your intake of these nutrients based on your body type and dietary guidelines, as well as assess your physical activity. About the author: Allison Bland is a communications fellow at Research!America and a graduate of McGill University with degrees in English and History of Science. She is interested in science and health communication on the web. 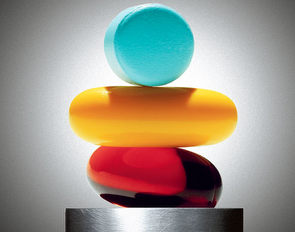 Personal genomes may lead to personalized vitamin supplements. University of California Berkeley press release. 2008 Jun 2.